The United States is a young country with an old history. Rising to the highest heights of power in the blink of an eye through rapid expansion across a broad land rich in natural resources, achieving unity more than 100 year before the much more ancient Europe even made a start at it, and now prematurely gray as it struggles to adapt to a global economy and a shattered self-image, the American story has been a tough one to tell. The mirrors held up to Americans have often been fractured and one-dimensional, and perhaps with the exception of the Great American Novel, Huckleberry Finn, no work of art has broken through as a wide-ranging reflection not only of who we want to be, but also of who we really are. 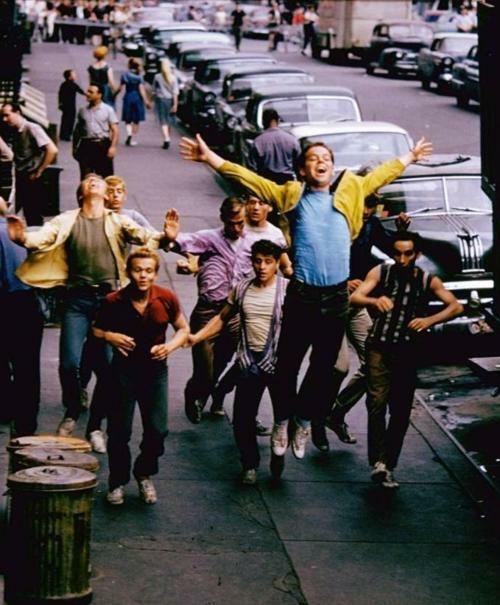 So it may be a bold declaration to make, but if I had to pick the one work that has been and will continue to be the greatest telling of the Great American Story, it would be West Side Story. 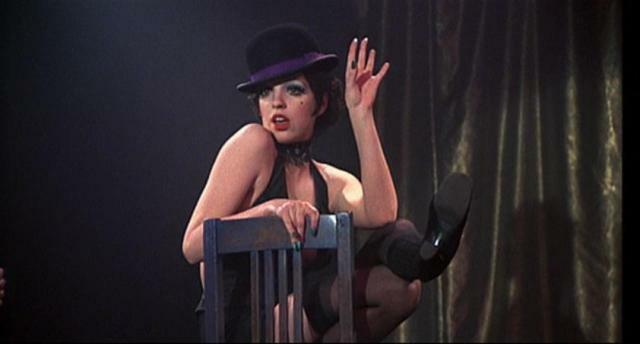 Many great musicals have plots packed with drama and unlikely coincidences. By contrast, on the surface anyway, ‘Meet Me In St Louis’ has almost no plot at all. 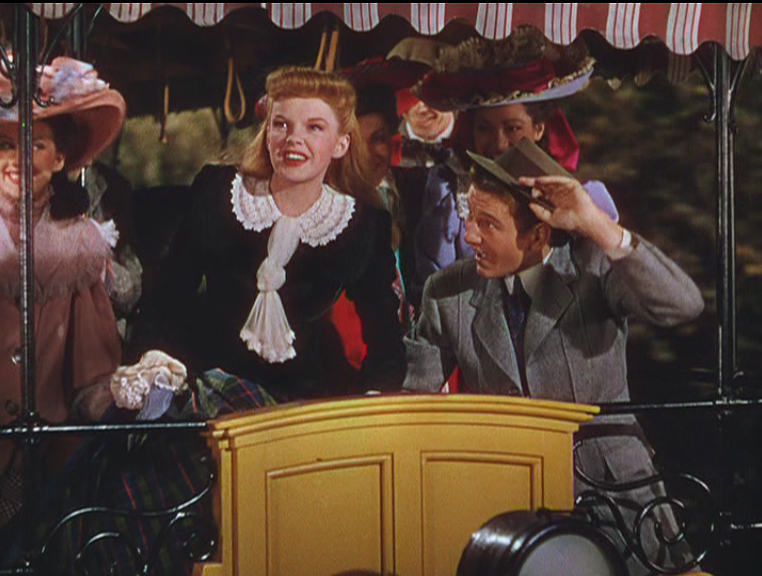 However, there is far more to this holiday classic, starring Judy Garland in one of her best-loved roles, than meets the eye on first viewing. Producer Arthur Freed, director Vincente Minnelli and the team at MGM agonised over the ingredients just as the Smith household’s cook, Katie (Marjorie Main) worries over her homemade ketchup bubbling on the stove in the film’s opening scene. Katie is afraid the ketchup may be too sweet. MGM’s powers-that-be saw the same danger in this adaptation of writer Sally Benson’s humorous ‘Kensington’ magazine stories, recalling her girlhood in St Louis at the turn of the 20th century. Various scriptwriters were drafted in and encouraged to add exciting plot twists, such as an unlikely blackmail plot involving a Colonel, to make the mixture a little stronger. I sat down with my 3-year old daughter the other day and invited her to watch a dancing scene from Swing Time with me. She’s very interested in dance these days and taking a class (ballet) so I figured I would show her. 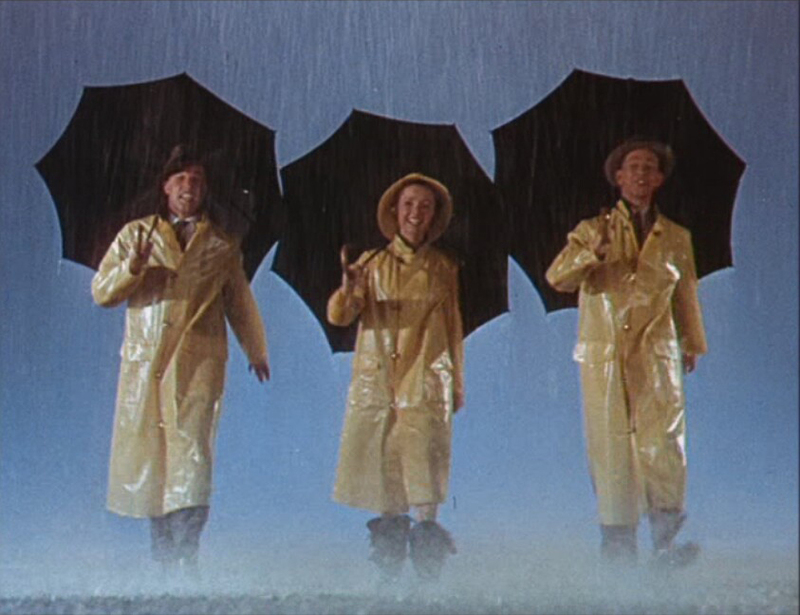 It was the scene where Fred and Ginger are doing the “Pick Yourself Up” number, which is a boisterous dance. My daughter asked me a few questions about the movie at first as Fred and Ginger were talking, but she was mostly entranced and watched the scene with me in silence during the dance itself. I know it sounds simple, but I realized for the first time that dancing requires little explanation or greater understanding of context and/or plot to really understand it. It is truly a physical communication to those of us in the audience. Even small children instinctively know how to dance. It’s not something you have to teach them. Dancing speaks to us on an instinctive level, and there never was, nor will there ever be another dancing duo like Fred Astaire and Ginger Rogers, whose chemistry and artistry remain unsurpassed. Note: The following is an interview conducted over the summer at the Happy Dale Nursing Home in Des Moines, Iowa with 86 year-old Agnes Ferber, niece of celebrated writer Edna Ferber. Ms. Ferber is professor emeritus at Drake University, specializing in theatre and cinema studies. Ms. Ferber, who retired in 1987, has spoken about her aunt’s work at a number of universities across the country, and has more than an affectionate regard for James Whale’s 1936 film version of ‘Show Boat,’ which is based on her most celebrated work. The loquacious and fecund scholar magnanimously agreed to share her opinions on the film’s music, historical context and artistry for the musical countdown. SJ: Hello Ms. Ferber. I want to thank you for agreeing to impart your vast wealth of information, experience and insight into your aunt’s most famous work and the famed stage and film versions that widened it’s cognizance worldwide. AF: Young man -or I can call you that compared to where I have progressed to- the honor is mine. I understand you are doing some kind of a musical countdown, and the 1936 version of Show Boat is expected to do quite well.